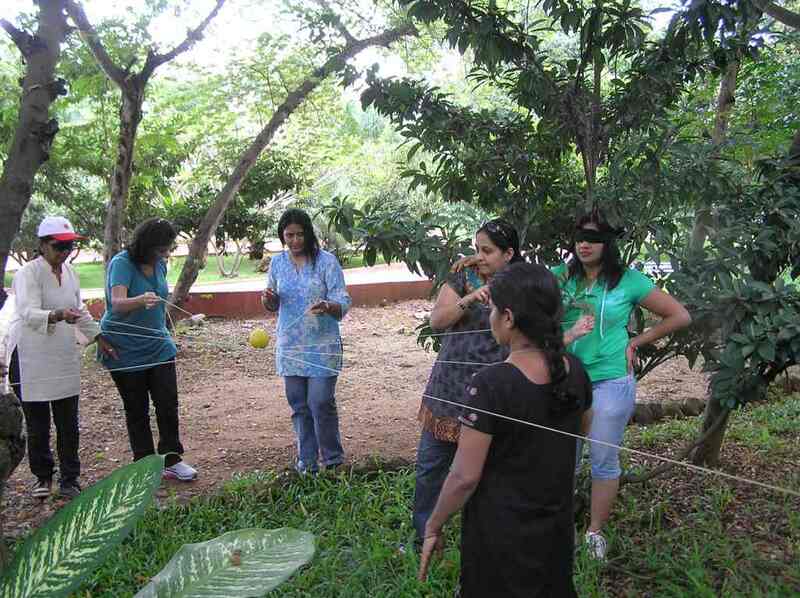 The writing on the wall is clear! 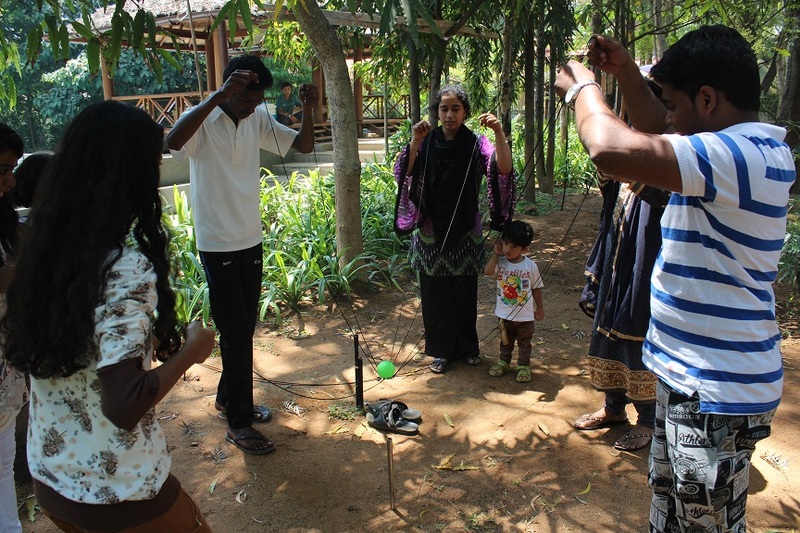 There is no dearth of fun-filled activities while on a trip to Discovery Village. 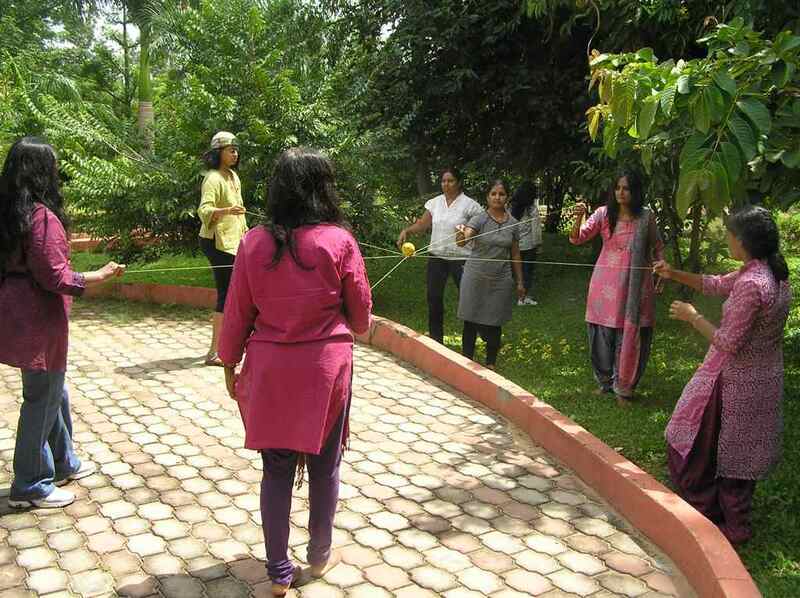 As if the fun element is not enough, a host of activities come with a keen sense of objective driven activities that are basically meant to unveil the hidden talents of individuals. 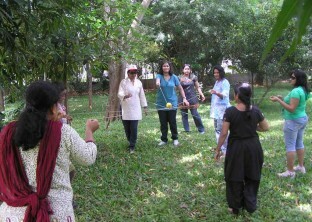 One such activity for a corporate outing in Bangalore is the Bull Ring. Essentially designed as a problem solving activity, this game demands a stern focus from participants along with the promising presence of teamwork. 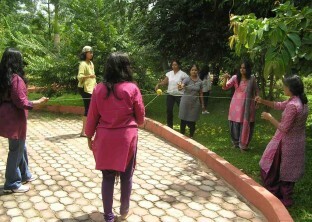 Participants have an advantage of a 45-minute training session to actually play the game, which should be completed in 15 minutes. 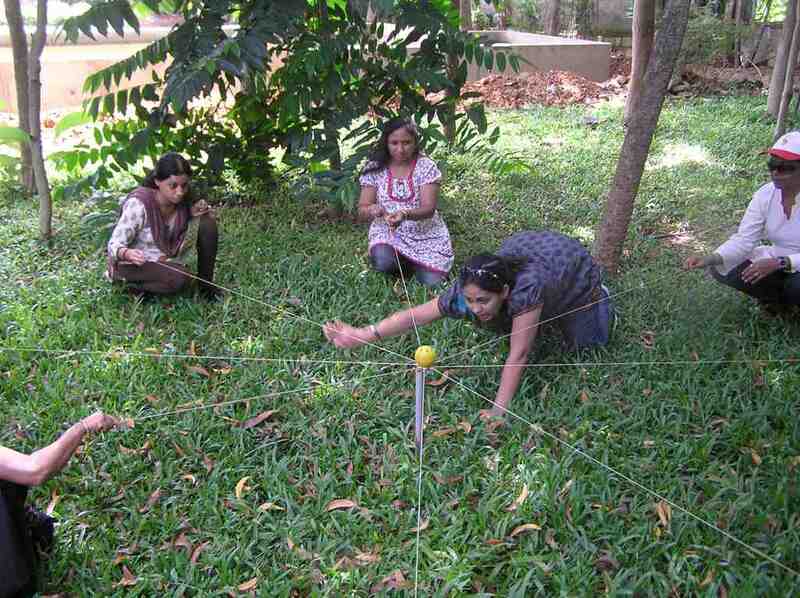 The object in question for this game is a small ball which needs to be lodged into its target through the use of a metal ring along a stretched twine. The target can be a simple water bottle or a small part of a plastic tube. 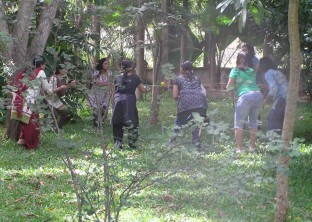 If you are all thinking that this is child’s play, wait a moment! This game too is not free from a caveat. 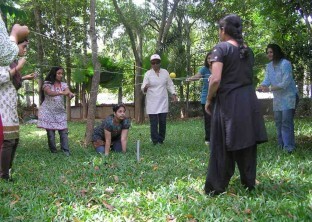 And it is to transport the ball to its destination through a series of obstacles sporting blindfolds. 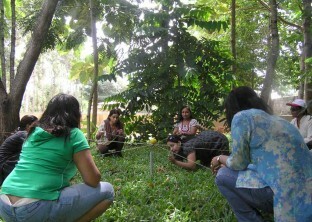 An obstacle comes as a hindrance to progress. 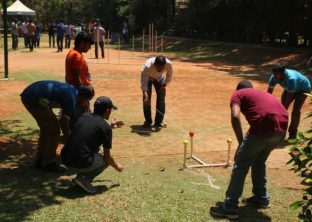 Ironical as it may sound, these very obstacles pave the way for participants to ultimately arrive at their ultimate winning destination. 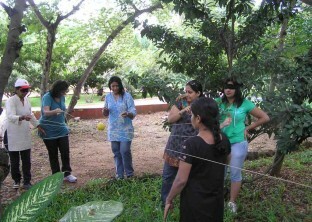 Participants traverse through the entire landscape of Discovery Village in completing the game of Bull Ring. 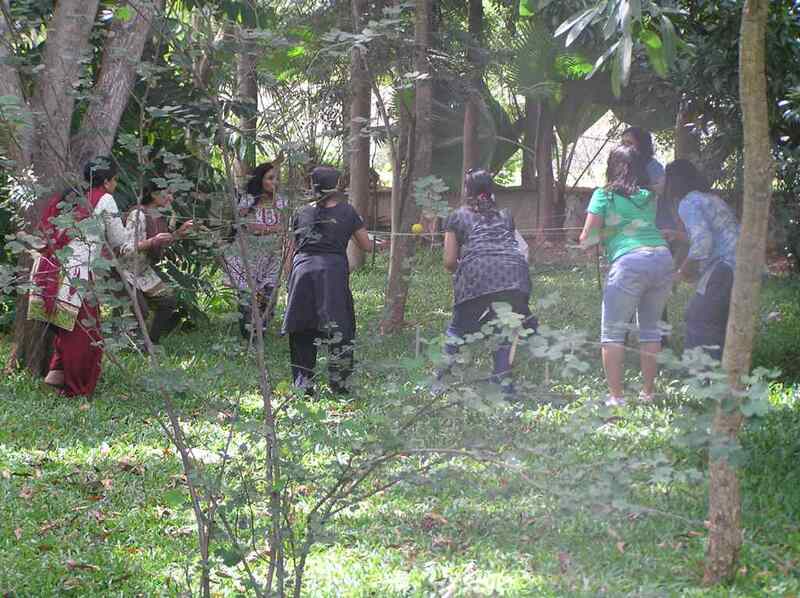 They will bump into huge trees and rub their shoulders with branches. Narrow paths along their way can make them tip-toe to their destination. 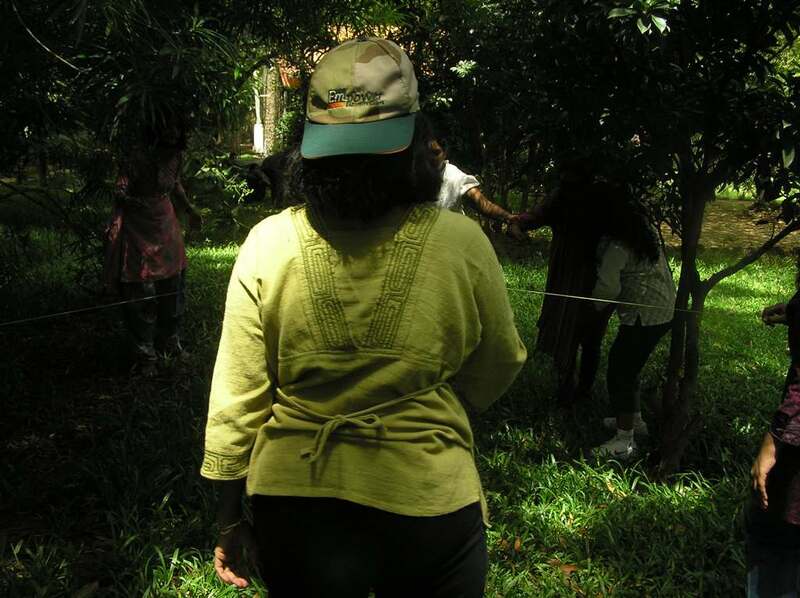 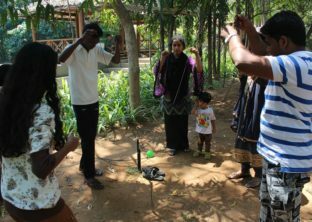 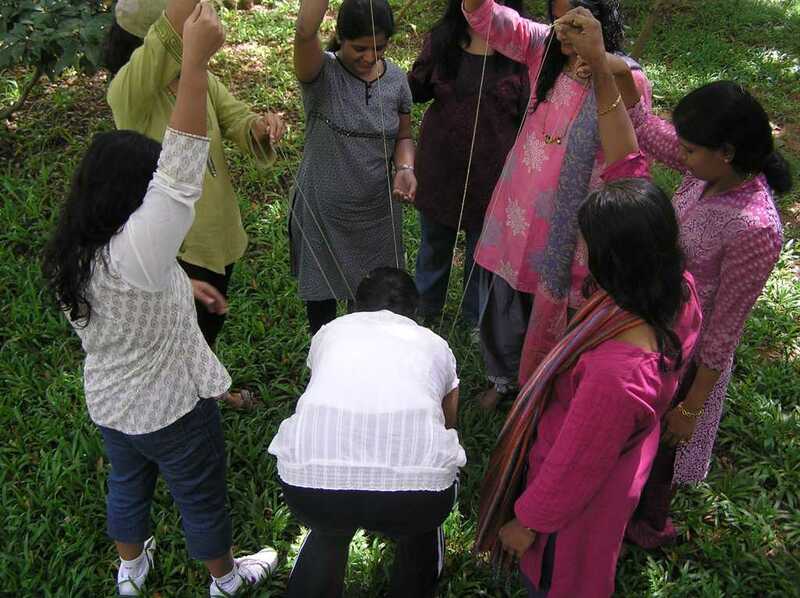 A surprise can come in the form of wading through a rivulet over which the metal ring and the twine are mounted, making it a tricky walk for a Bangalore Corporate team building activity. 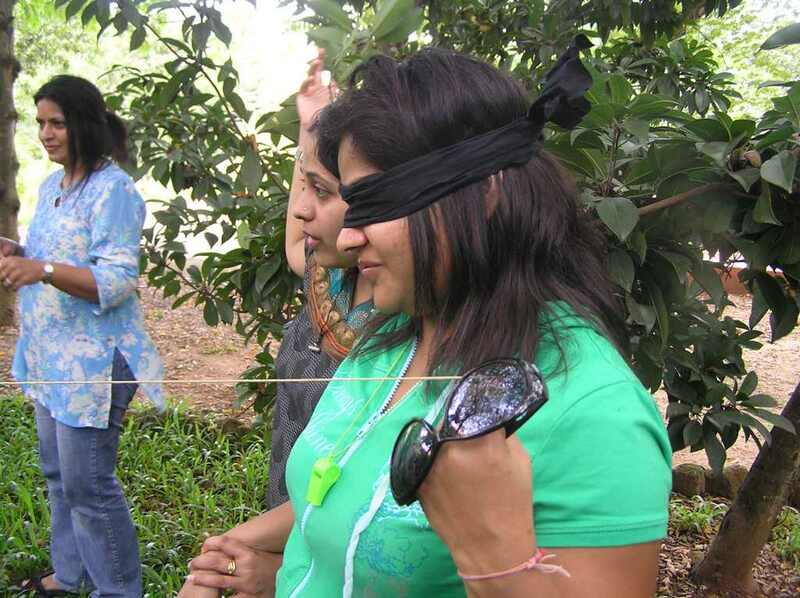 So, these varied obstacles that come in the way of participants enable them to experience a variety of inexpressible pleasures and excitements, ultimately enabling all of them to revel in their ultimate triumph. The successful completion of the game demonstrates evident traits of focus and teamwork. 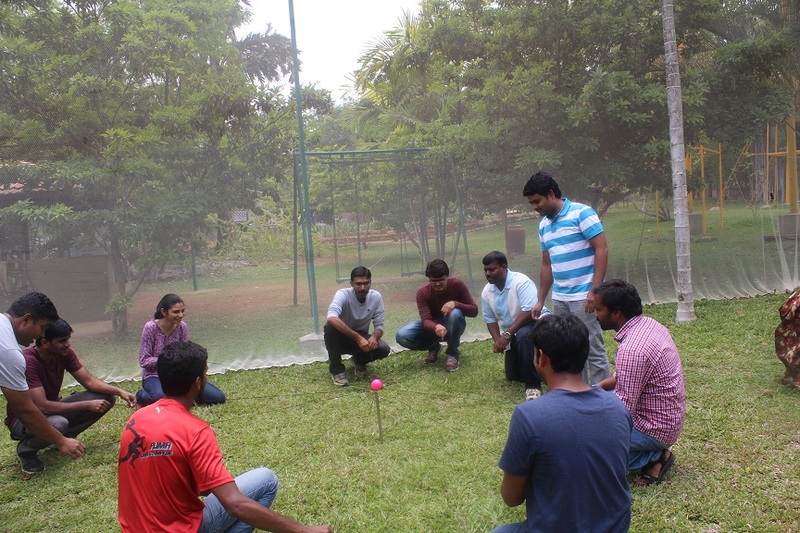 Moving ahead through the obstacles with the coordination of team members, Bull Ring comes as an innovative activity showcasing the problem solving skills in an individual, along with a propensity of risk-taking. 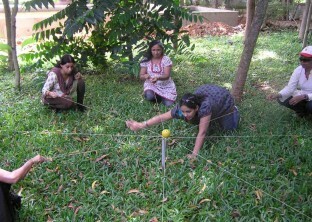 Identified as an objective driven and fun activity, the risk involved in completing the game comes draped in the form of an effort in balancing the ball on the twine. 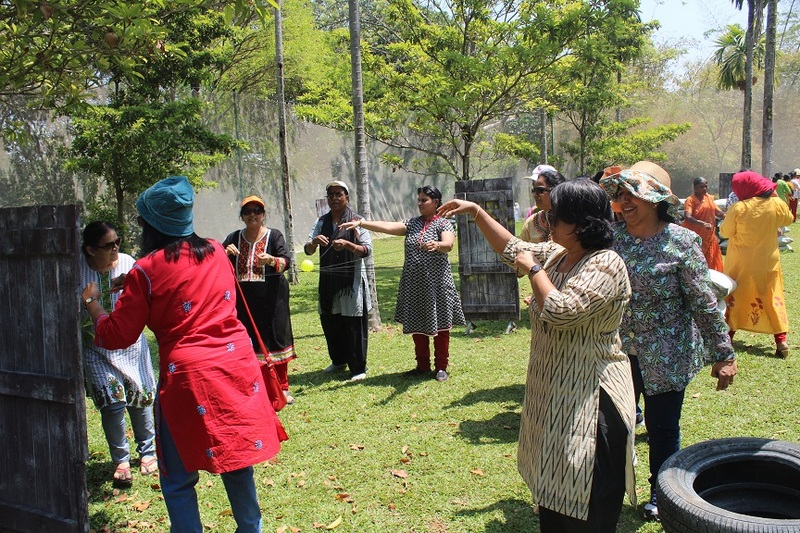 It is for this purpose that we at Discovery Village have identified the importance of planning in making things happen through a collaborative manner. 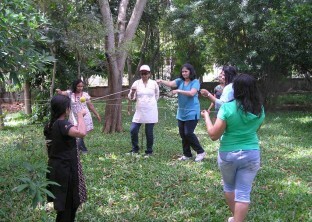 Stay at an adventure resort in Bangalore to take part in such activities. 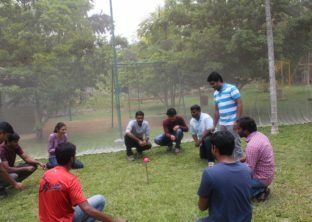 Enabling participants to believe in their abilities to make things happen for themselves, it is in this context that Bull Ring demands the prominence of teamwork. 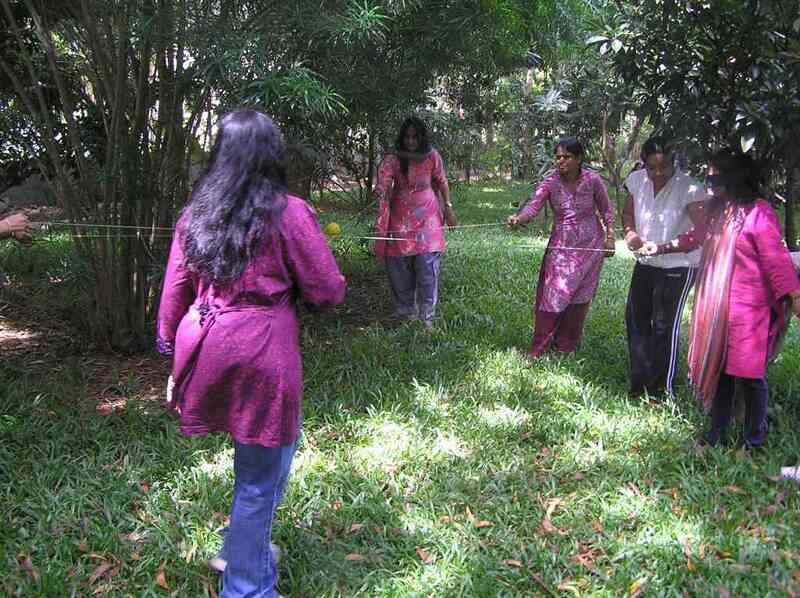 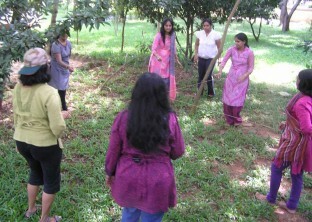 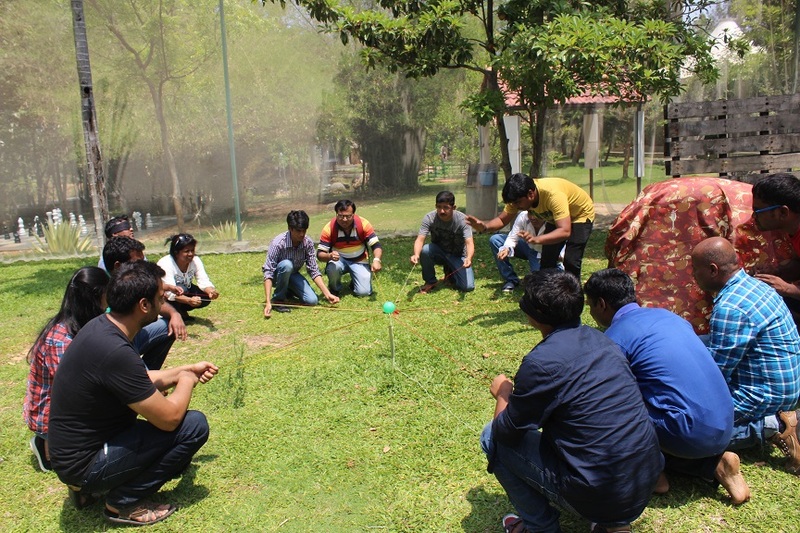 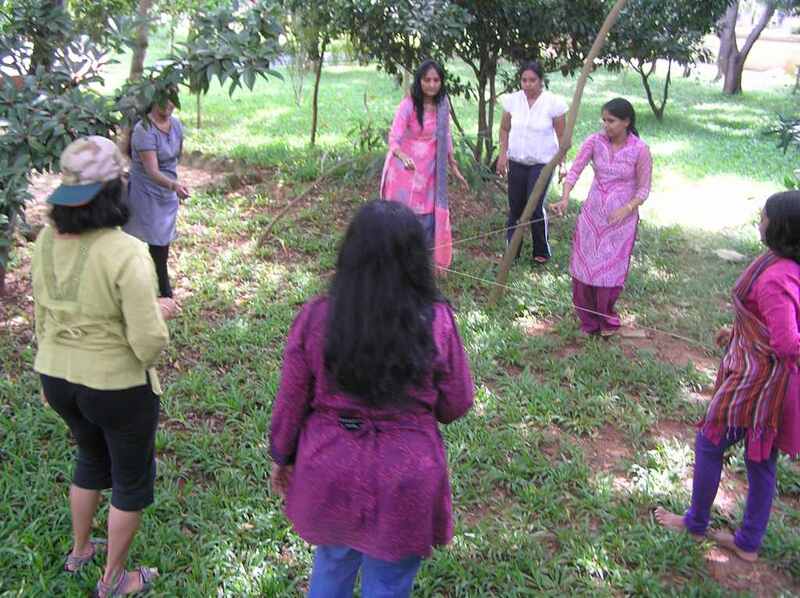 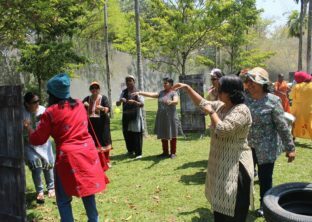 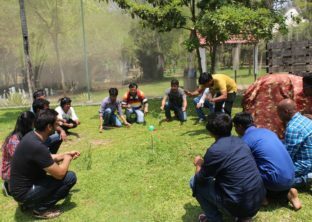 Essentially crafted as a team building activity, it is through this unique game that participants are the receiving end of synergistic benefits of their efforts coupled with the coordination of their team mates. Inarguably, treading through an unknown terrain laden with blindfolds is a herculean task. And to make this happen, Bull Ring is proud of the unconditional support that is received through a seamless display of teamwork, eventually draping it as an exclusive outdoor gaming activity. 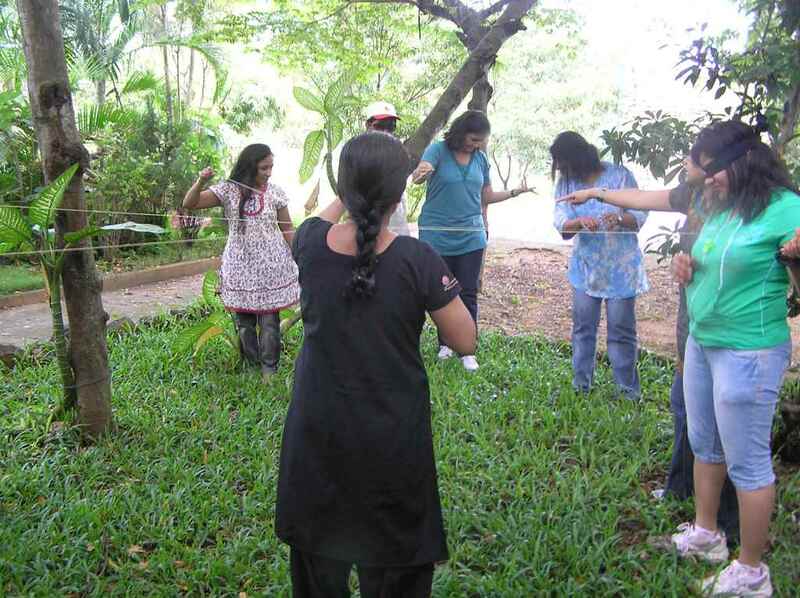 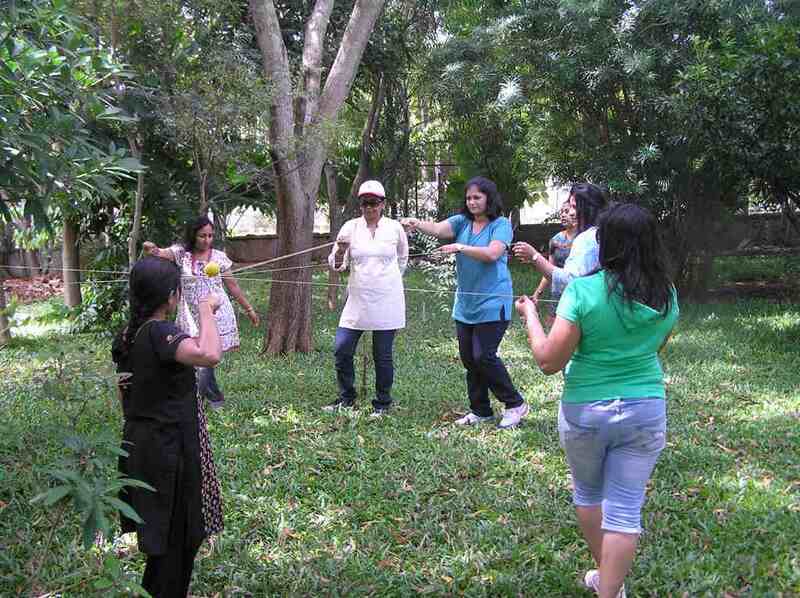 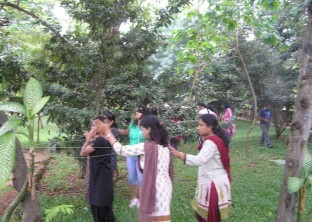 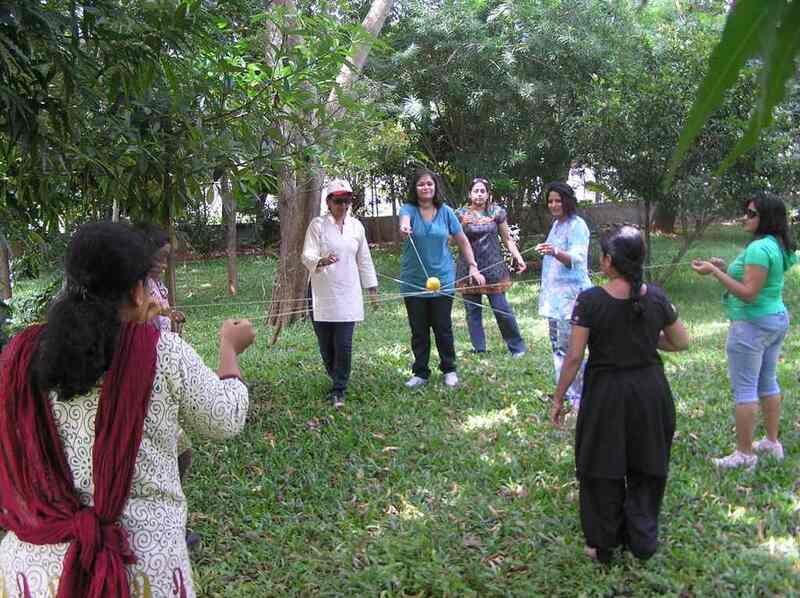 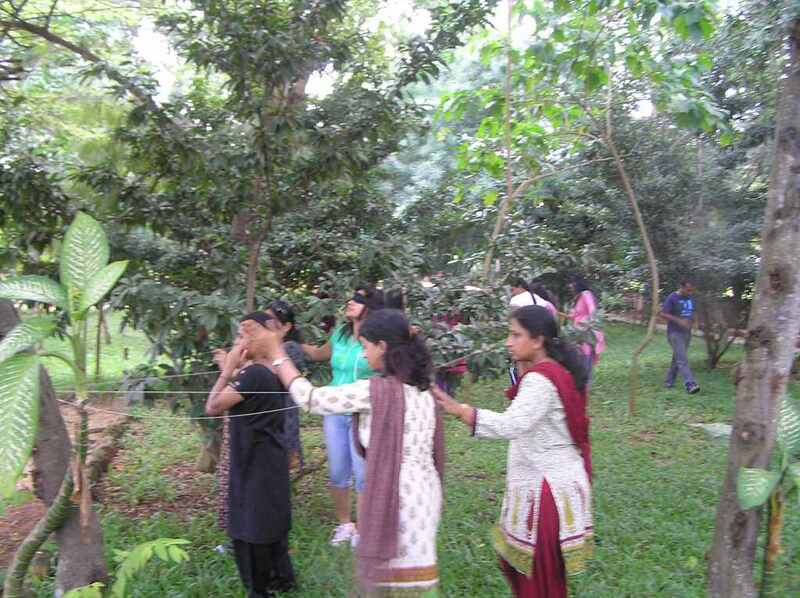 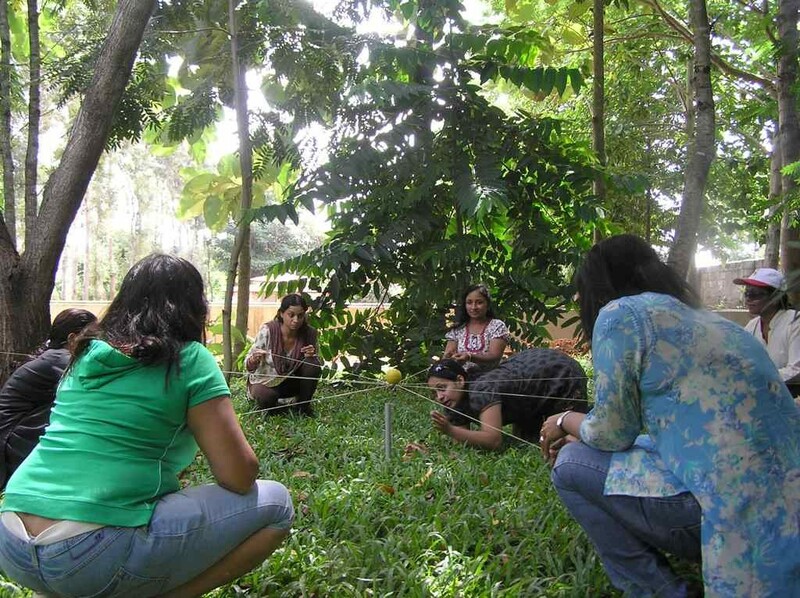 Pick resorts with activities in Bangalore for similar team building challenges and games.